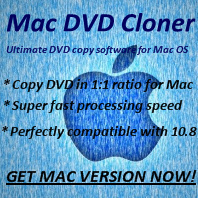 What kind of payment methods I can use to purchase Any DVD Cloner Platinum? Q: What kind of payment method can I use to purchase Any DVD Cloner Platinum? A: You can purchase Any DVD Cloner Platinum via 2CHECKOUT or Swreg. 2CHECKOUT: 2CHECKOUT is the agile eCommerce solutions provider trusted by Software and SaaS companies to grow their business worldwide through any channel and any model. 2CHECKOUT provides various online payment methods: Visa, Master Card, AliPay, JCB, Wire Transfer, America Express, JCB, Discover, Fax, Diners Club. SWREG provides independent software and shareware business owners a method of selling products online, with features such as direct software download and electronic license delivery. SWREG offers multiple payment options, customization, flexibility, and distribution into international markets. Their checkout process allows users to purchase with their currency of preference using Mastercard, Eurocard, VISA, Delta, JCB, Switch, Solo, Discover, American Express, Diner’s Club, US personal check, International Money Orders, bank wires, etc. Purchase Any DVD Cloner Platinum or other DVDSmith programs online via 2CHECKOUT or SWREG is 100% safe.